Over the weekend, we were saddened to hear about the passing of Vivian Lynn on 1 December, 2018, after a long illness. Here, Dr Chelsea Nichols, Curator of Modern Art, reflects on her first encounter with Vivian’s work and on her remarkable contribution to New Zealand art. 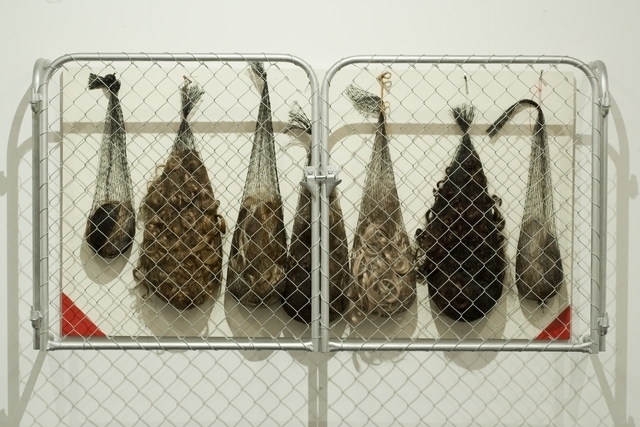 I got my first taste of the strange, beautiful power of Vivian Lynn’s work on my very first day at Te Papa, exactly five years ago today. 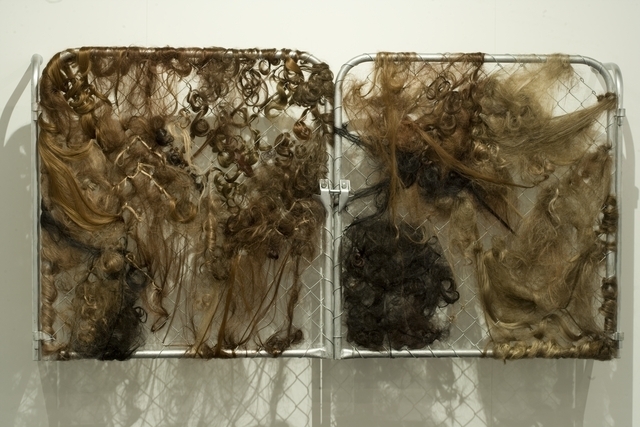 I walked into the art collection storeroom, and there was her iconic Guarden gates: thick, knotted clumps of hair, woven through the forbidding mesh of galvanised steel gates. The juxtaposition of the soft hair against the industrial steel was unsettling, giving me a lingering sense of unseen violence. I was intoxicated by the way its dark, feminine magic began to play on my imagination. Images of wild, dangerous women leapt into my head, inviting me to pass through the gates and enter their ferocious world of tangled hair and feminine secrets. Of course, Guarden Gates is not literally about an imagined tribe of warrior women. But the power of Vivian’s work is in this uncanny ability to endlessly generate new meanings, mythologies and associations in the mind of the viewer. A couple of years later, I had the privilege of visiting Vivian in her studio for the first time. She was everything I hoped the maker of these magical gates would be: sharp, perceptive, and bewitching. She was generous with her time and her ideas, pleased that a new generation of young curators (raised on a hearty diet of feminism) were so excited by her work. Vivian’s practice is hard to sum up. She constantly reinvented and challenged her own practice across a variety of mediums, from her explorations of modernist abstract painting in the 1960s, to extensive explorations of symbol-laden printmaking through the 1970s, through to the large-scale installation works from the 1980s onward. 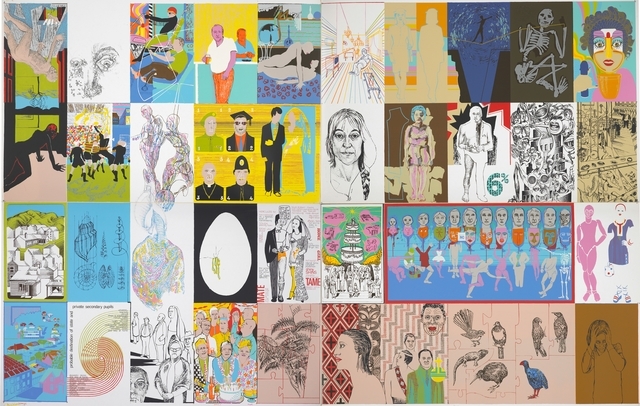 Most importantly, perhaps, she was among the earliest New Zealand artists to seriously address feminist issues in her work, exploring the mythological, sexual, and political aspects of the female experience across a challenging, conceptual body of work. Apart from the major retrospective at the Adam Art Gallery in 2008 and its accompanying publication (2010), I don’t think Vivian has ever had the full scale of appreciation and acclaim that she deserves for this. This is partly because such an experimental feminist practice was so unusual in New Zealand in the 1970s and ’80s. 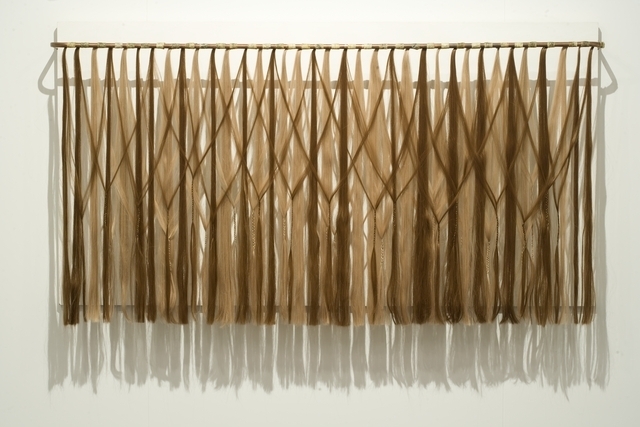 Her earliest experiments in unconventional materials like jelly and human hair started as early as 1969, but there was simply no local context or gallery support for work like this at the time. In fact, it is easier to look internationally to find Vivian’s artistic counterparts, in the work of artists like Louise Bourgeois or Mary Kelly. 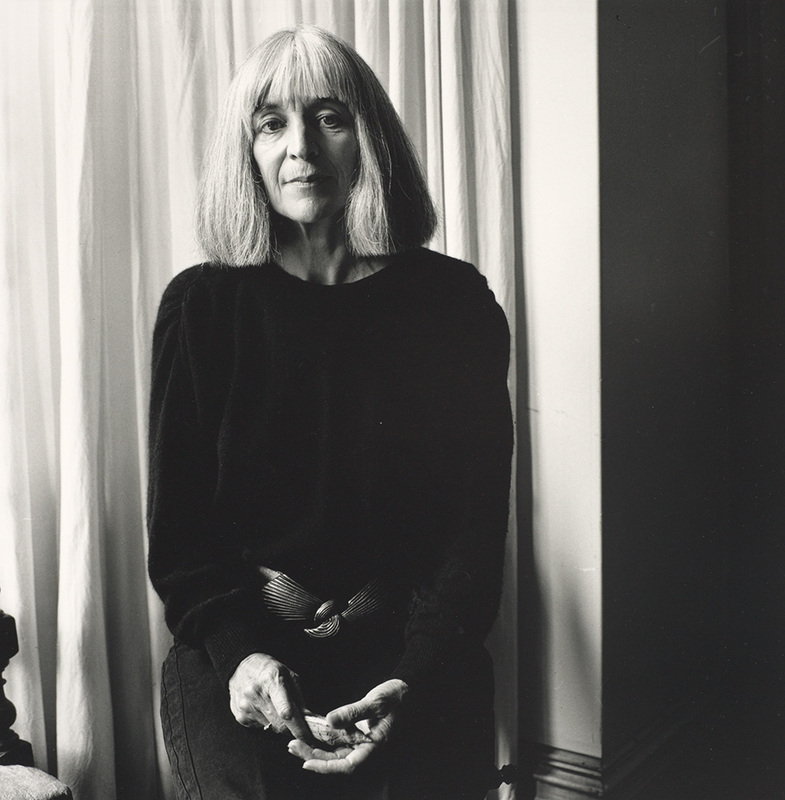 However, despite, the international flavour of Vivian’s work, it is important to note that she was always an ardent supporter of the women’s art movement in this country, even helping to set up the Women’s Art Archive in 1983-84. Perhaps Vivian would have found a wider audience for her work internationally, but a collapsed lung in 1953 revealed a serious underlying congenital condition which would limit her ability to travel abroad. 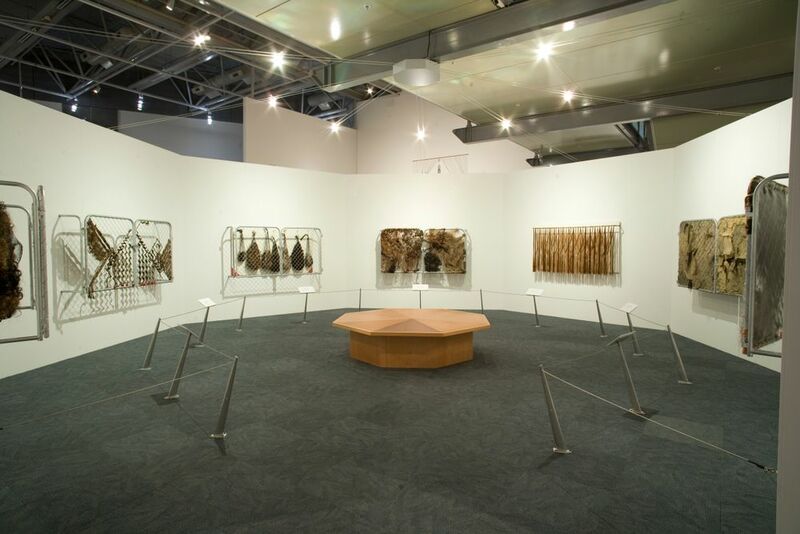 However, her ongoing medical issues enriched rather than limited her artistic practice. One of the most powerful threads in Vivian’s work is in her exploration of a medicalised view of the female body and how illness shapes one’s sense of self. Pharmacopeia (1983), for instance, is a powerful series of collages which explore the notion of women’s skin as a site of both beauty and pain. As her ill health persisted, later works began to explore more abstracted notions of humanity beyond the physical body. 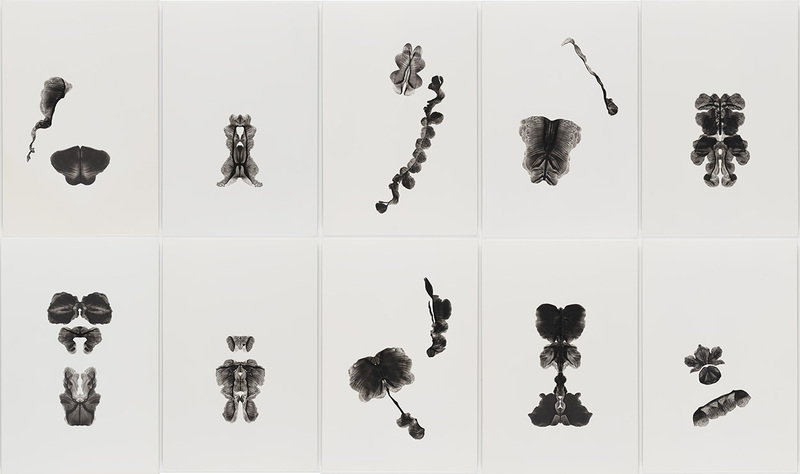 She explored medical subjects like DNA, Rorschach inkblots, and brain scans – poignant explorations of how the self is constructed at the mental or cellular level. Vivian’s work re-imagined and redefined the very essence of how women’s bodies and experiences are represented within New Zealand art. It took me a couple of visits with Vivian to muster the courage to share my powerful initial encounter with Guarden gates, with my tangled visions of warrior women and feminine mystique. Instead of laughing me out of her studio as I feared, she was open to the kinds of new mythologies that her work might inspire in the future. Thinking back now, perhaps it was really Vivian’s ferocious artistic spirit that I was picking up on that day. May it always live on in her work. Beautiful memories and words about an extraordinary woman and artist. Thanks Chelsea.